Maybe it was due to the release of the movie "Wild Hogs" or maybe it was due to the fact that none of us had really been west of the Mississippi River, either way, one winter day it was decided that the three of us had to hit the road and see the country. When I say the three of us I am referring to myself and my roommates Kevin and Matt. Kevin and I were roommates for nearly 10 years and Matt lived with us for a few of them. Kevin and I would road trip in the middle of the night for no reason, drive around Lake Michigan just to see how long it would take, and plow through a blizzard to IHOP 40 miles away at midnight just for coffee and breakfast. Before moving to college, Matt who is a friend from way back, would swing by my house at 10pm and we’d ride around rocking out to our jams and discussing life while winding down all of the back roads in two counties. It’s safe to say, these two were on board for adventures into the unknown. Once it was decided that we’d take a road trip over spring break, the three of us decided to do a dry run for a few days around Lake Michigan in early January of 2007. Unlike my journey with Kevin, which was 15 hours, this would be relaxed and include hotels and sightseeing to mock a real road trip. We left one afternoon, drove up along the Lake Michigan coast and over eight hours later found ourselves at a cheap motel in Michigan’s Upper Peninsula. We met a friend, got real local at a bar, and went to bed. 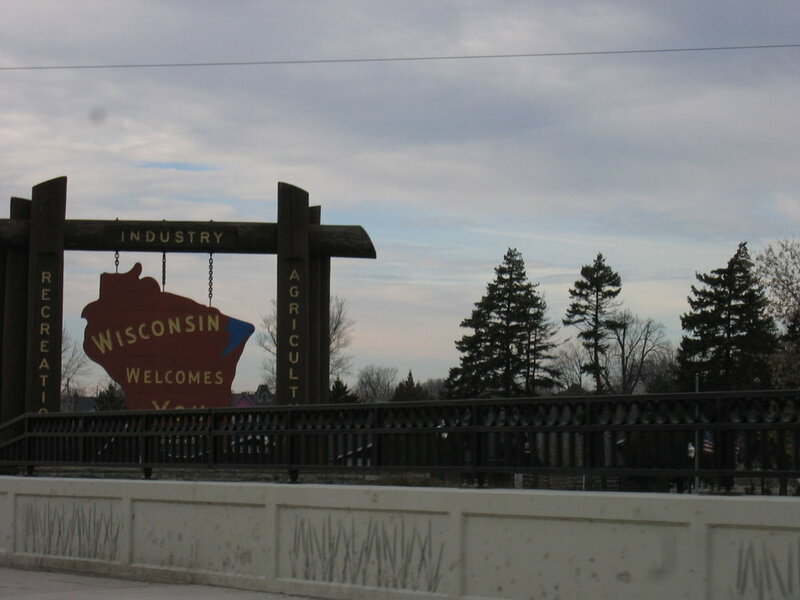 From there we meandered down through Wisconsin and decided to drive all day and into the night until we made it home. The trip was a good idea overall by helping us understand our limits as far as driving, annoyances, and hotel quality. From January to February it was all planning, booking, and just plain getting excited. The feeling you have when you know a road trip is on the horizon can’t be replicated; it’s almost overwhelming in the best way. We booked the car, found all of the Motel 6 locations, and discovered Microsoft Streets and Trips. Streets and Trips was a genius program, before Google Maps and such, that allowed you to create detailed road trips on a digital map with stops, length of day choices (a few hours or all night), average speed limit you’d be driving, gallons of gas your car held, and it had road construction updates. Streets and Trips was so cool, it had a USB GPS attachment that you could suction to the back window and track the route via a laptop - HOW COOL IS THAT? Google Maps is great, for saving locations, traffic, and discovering new places, but terrible for route planning in comparison to Streets and Trips. Rest in peace, old program, you’re still gold to me. With everything booked and ready to go, we set off on our Spring Break Road Trip of 2007. We fondly named it the MMK Cross Country Tour and it could have easily been sponsored by Motel 6, Coors Light, and any number of gas stations with funny names. This road trip, the first big trip beyond the Great Lakes, was monumental in creating desire to adventure further and left us wanting more when we returned home. Over the next four weeks, I’ll highlight THE annual road trip from 2007-2010, introduce a few new people, and share endless stories and photos from the trips that shaped my adventurous spirit.